Achieve the lazy way to success as a procrastinator and earn money by doing basically nothing. Create a lifestyle of being lazy, doing what you want, and still earning money without having to go to a day job. 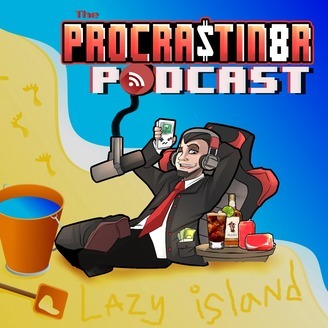 From insight on the Lazy Mindset (an attitude that teaches you how to be lazy and get away with it available as a free e-book on the ProcrastiN8r.com website), tips on generating passive income while you sleep, and creative ways to put gamification in your life to turn work into play, the ProcrastiN8r Podcast will make your life so much easier. Procrastinate with Purpose to Minimize Effort and Maximize Results. Work smart, not hard to earn a passive income. Save as much time, money, and effort as possible, with life hacks to make things easier, gamify productivity to turn work into play, and earn money while you sleep. 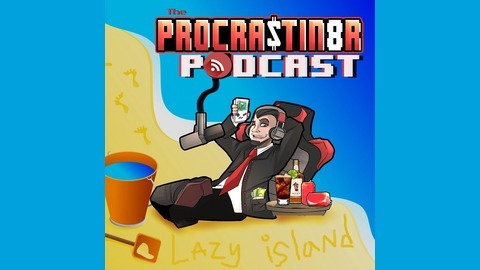 As a gamer and online marketer, Nate Zerambo puts the "N8" in "ProcrastiN8r" and is certainly a PRO at what he does. He's an award winning radio talent and self proclaimed audiophile and finance nerd. Not an online guru, he's just a lazy guy getting by. I’m not very organized. I’ll admit. I’m not a perfectionist by any means nor am I OCD. But I don’t like when my mess starts to make my life harder. • Socks (black, white, unmatched) or just buy one type of socks so you never have to match. A priest looks forward to the "resurrection of the dead." (A Walking Dead Parody). The short is mean to be a parody and I am not representative of AMC or the Walking Dead.